West Shore Railway survey map blueprint, 1896. An enthusiastic attempt at nothingness. That is all that can really describe the short-lived West Shore Railway Company. 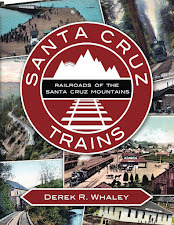 Incorporated on July 11th, 1895 (registered with the State July 26th), the West Shore Railway Company sought to be the first railroad to bridge the gap between San Francisco and Santa Cruz via the coastline route, an estimated 80 miles of track. The plans in place included a standard-gauged trunk line along the coast stopping at such places as Half Moon Bay and Pescadero, with spurs and sidings at appropriate places. At least three surveys were made prior to incorporation, with one especially peaking the board's interest. The board of directors consisted of C.M Sanger (president), Behrend Joost (vice president), R.S. Thornton (treasurer), J.W. Eisenfurth (secretary), Louis F. Dunand (attorney), K.J. Willets, and R. Herman. San Francisco was the headquarters of the $2,000,000 company, though at the time of incorporation only $80,000 was subscribed. The remainder was promised by Joost, but the origin was never explained nor, apparently, the amount deposited. This may have been a foreshadowing of its troubled future. The reasons for their failure is not entirely known. The San Francisco Call in 1894 was the first to report on the railroad, a year before incorporation. They outlined the basic route of the train, its start at Potrero Avenue and 25th Street to its initial terminus at Spanishtown. Five tunnels, including two within the city of San Francisco, were planned between the two points. While it is stated here that grading had already commenced on the railroad, this is highly unlikely. Final plans, likely after resolving disputes concerning San Francisco right-of-ways with the Southern Pacific, were in place to begin construction in late September 1895 with portions of the construction materials already in place. The northern section of the route was anticipated to pass around the bluffs at San Bruno before circling around toward Colma and then passing through a tunnel into the San Pedro Valley before entering a pair of tunnels, likely near San Pedro Point, and entering the Half Moon Bay region. The route would then continue an additional eight miles before ending at Spanishtown. The company planned to run ferries to locations throughout the bay from a depot in the Potrero District of San Francisco. 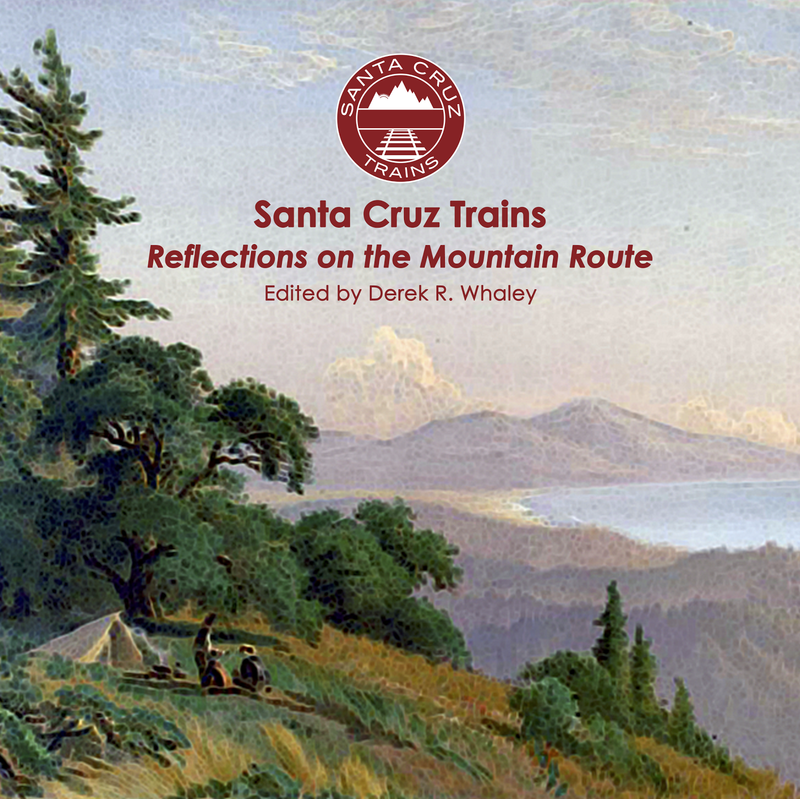 Though quoted at 80 miles, the West Shore Railway anticipated cutting the route between San Francisco and Santa Cruz by ten miles, while significantly increasing the scenery of the route. Naturally, tourism was the primary concern for this line, though freight was always anticipated as the moneymaker. Regardless of the promises, the railroad never happened. The Ocean Shore Electric Railroad followed much of the same route when it first graded around 1904 while the Coast Line Railroad, owned by the Southern Pacific, began its own attempt at the route in 1905. The last mention of the West Shore Railway is on a survey map submitted by the railway on August 24th, 1896. This has since been collected by the Santa Cruz Museum of Art & History with the original blueprint held by UC Santa Cruz's Map Collection. The outlined route remained little more than a dream. West Shore Railway Company, "Articles of Incorporation", 11 July 1895, Santa Cruz Museum of Art & History, Santa Cruz Count Records, Folder #235.